It’s my favorite time of the year! Everyone gets the Christmas spirit, even Scrooge! I don’t know if it is the smell of the freshly cut pine trees or the sweet smells coming from the kitchen, but probably the sugar does help! This week I am sharing a new favorite. I love anything with almonds or almond flavoring. 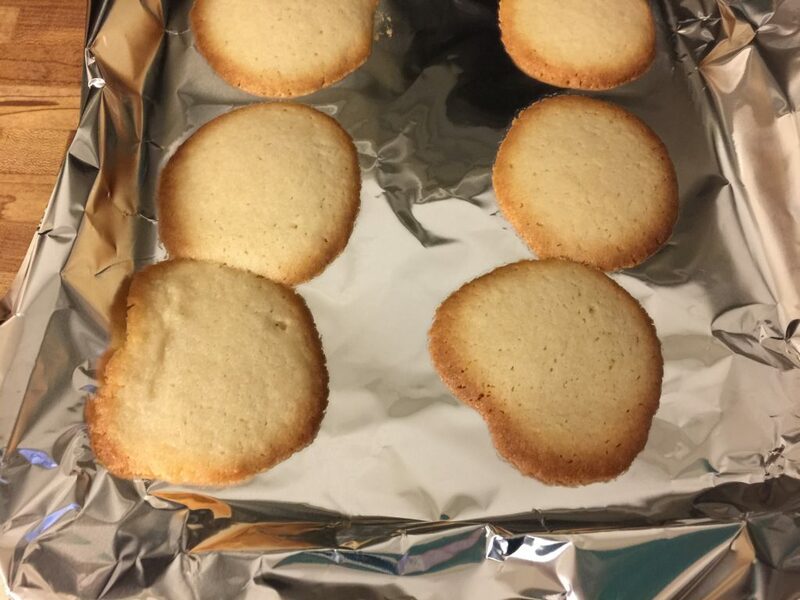 This recipe not only has almond flavoring in the batter but in the icing as well. 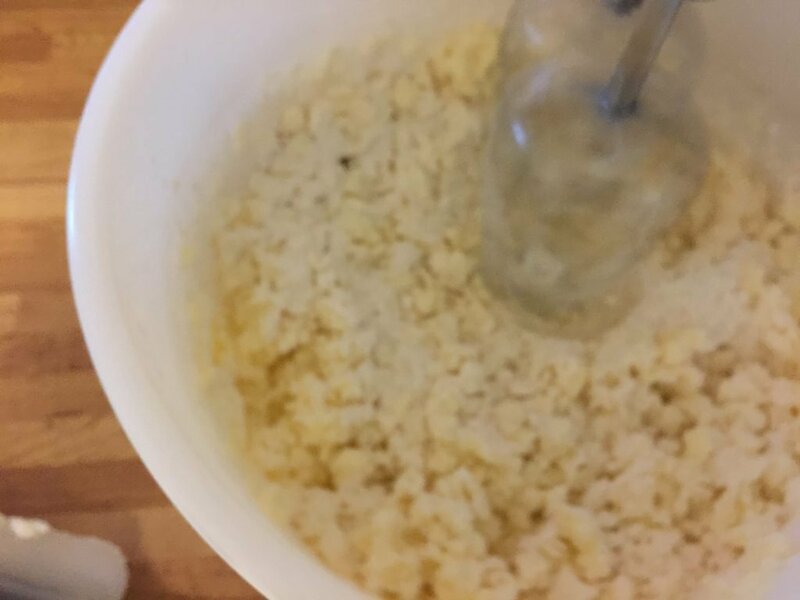 There is no liquid to the mix other than the egg and the small amount of flavoring. 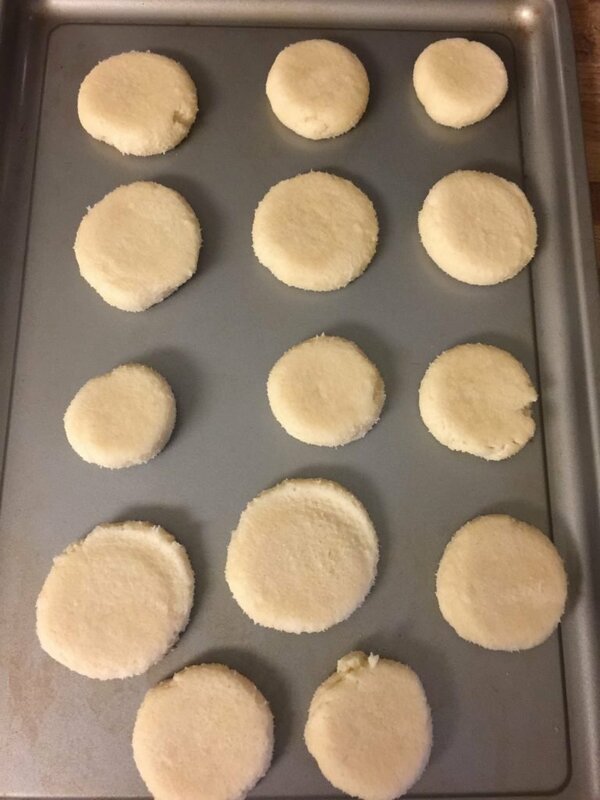 The dough is almost like a shortbread. It is a little stiff when you finish mixing. You begin by creaming together the butter and sugar. Once these are mixed well, add the egg and flavoring. Mix this for about a minute on medium speed. Then add the dry ingredients, mixing in a 1/2 cup at a time. 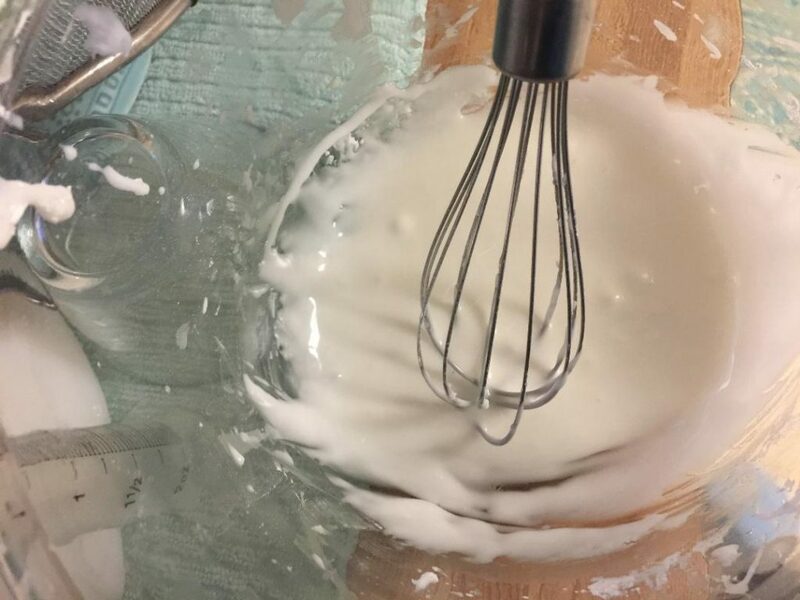 This should be mixed on high and once all the dry contents are added, mix another minute or two just to insure all the ingredients have had time to incorporate. 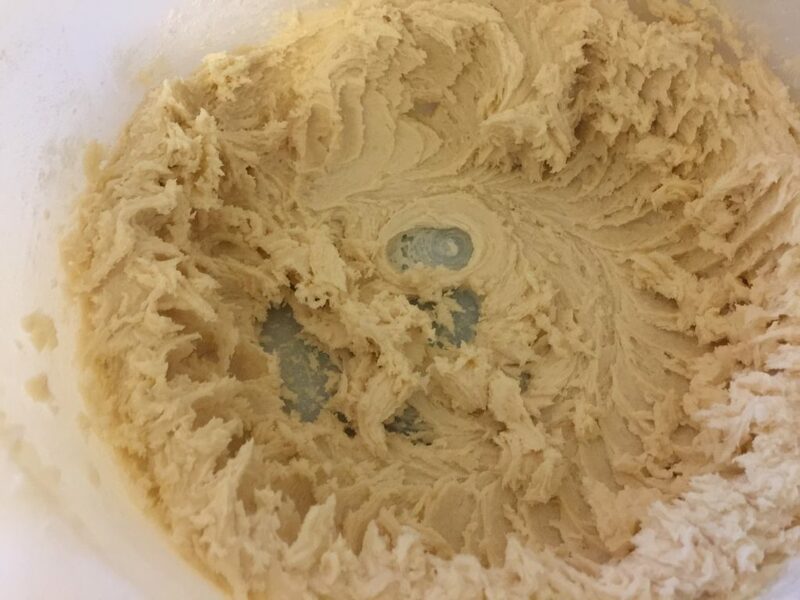 If your dough is a little soft, you may want to place in the refrigerator for an hour. That will make rolling into the balls easier. You will roll each ball about the size of walnut. You may flatten with a fork or your hand, but my mother taught me a trick a long time ago and I still use today. 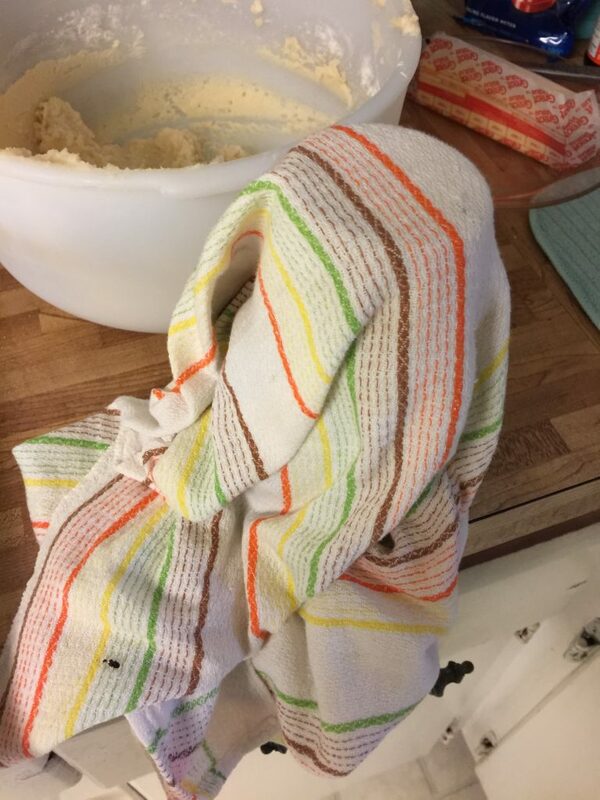 Take a linen-free kitchen towel and wrap it around the bottom of a drinking glass. 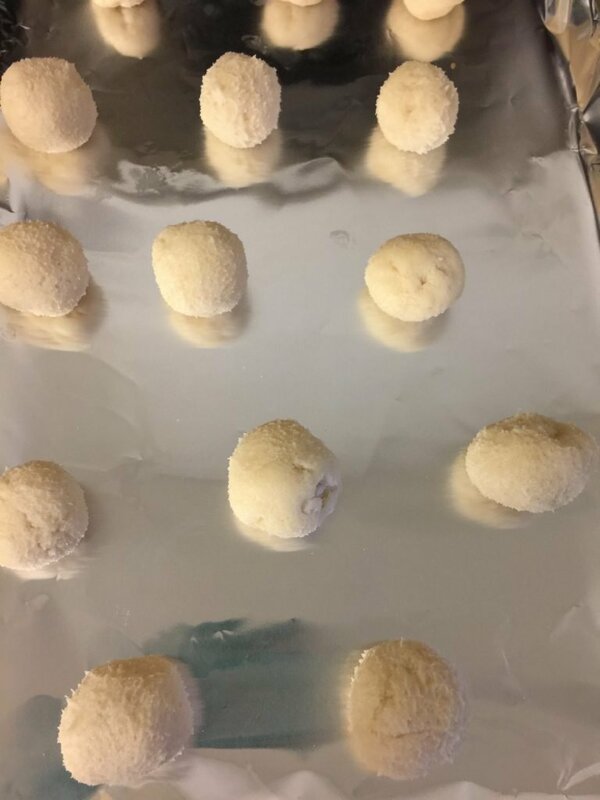 Once you have all the balls on the cookie sheet, take your wrapped glass mash them all down. They will have a nice smooth top that will ice nicely. Bake in a 375 oven for approximately 8 minutes. They will not look too brown on top but if the bottoms are brown, they are done. Take out to cool for about ten minutes. While they are cooling, you can mix up the icing. It is a simple powdered sugar icing that works with so many things. I have just added the almond extract to give it that beautiful flavor to go so nicely with the cookie. Now if your crowd is like mine, they will want more icing on their cookies than this recipe calls for. 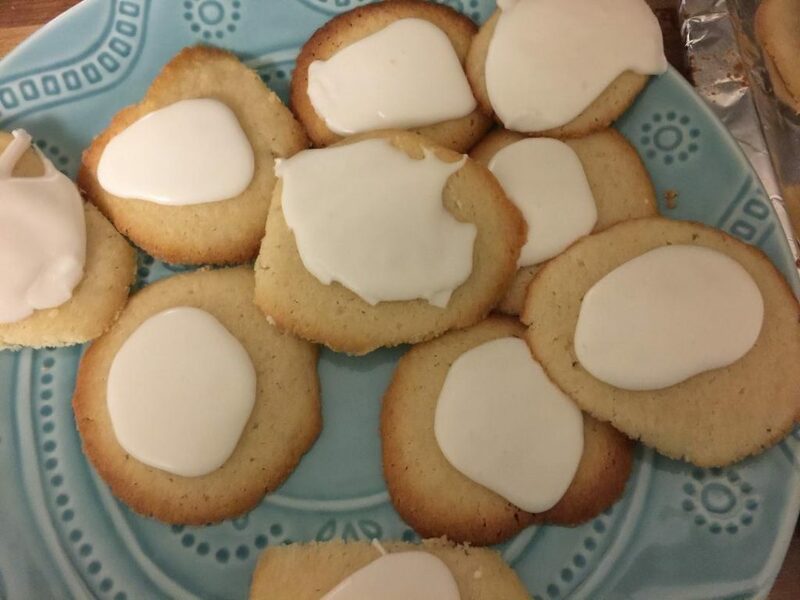 I doubled the icing recipe so I could get heavy with it on all the cookies. Make sure you have sifted your powdered sugar. It will mix so much easier if you have. Add the milk and flavoring then mix until you have the consistency you desire. 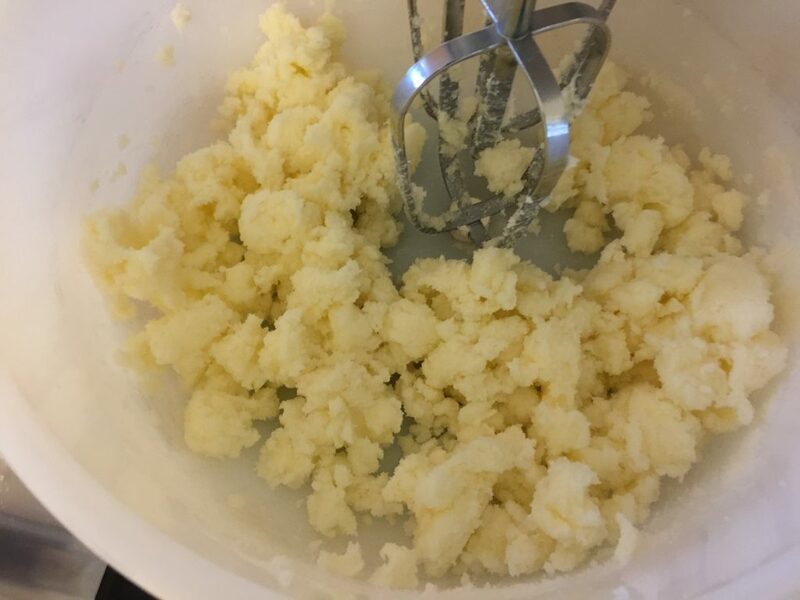 Make sure there are no lumps anywhere in the mixture. Take a spoonful and ice each cookie. Once the icing hardens, you may put on your party plate or pack up for a gift. If they are not going to be eaten right away, you will want to store them in the refrigerator so the icing stays nice. You will see once you taste it. They should be called “melt in your mouth cookie” or “the disappearing cookie” because that is exactly what they are. 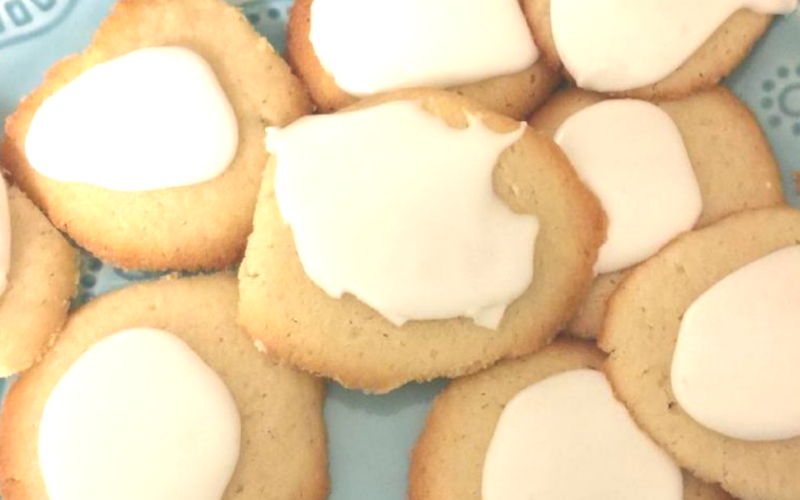 I think your family will add these cookies to their favorite list once they take a bite of these delicious almond cookies. Next week I will share one of my all time favorites that I would never go a Christmas without — The Best Cookie In The World!